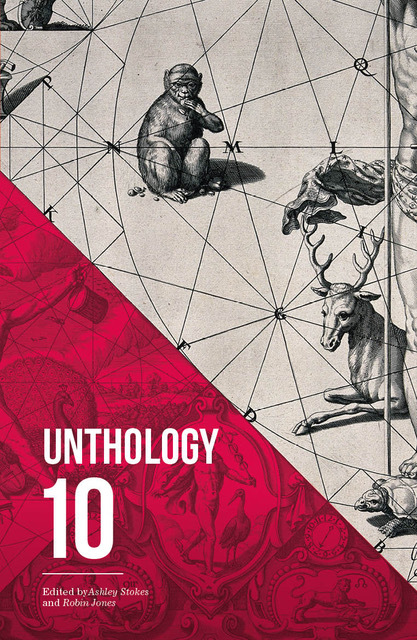 The tenth instalment in Unthank Book’s excellent series of Unthologies is all about mental and physical journeys, and people on the brink of savagery. An encounter at a playground has as much unspoken barbarity seething beneath the surface as a meeting with a bear, and a flight on a mythical beast. The characters in the tales selected by editor Ashley Stokes and Robin Jones have little to loose, which makes them all the more compelling. More than one have demons on their shoulders, and reckless bravado seems par for the course within a few pages. It’s a dizzying read, full of bile, venom and tantalising swoops of the imagination. These are worlds to visit, and then disentangle yourself from, breathless and relieved. In K.M. Elkes’s Ursa Minor, the brutality of IVF treatment brings a primitive urge to the surface. Looking at the way crazes take hold and how we can succumb or resist, this story feels like it’s about far more than an influx of insects, examining instead our desire to possess, and to belong.